Hearing loss can not only affect your ability to create and intercept speech, it can also affect your nerve cells. Researchers from the University at Buffalo have found that hearing loss actually leads to changes in the shape and behavior of nerve cells. During hearing, these nerve cells relay information from the ear to the brain. In the experiment, researchers blocked the ears of mice over time periods ranging from three days to over a week. Cells in the auditory nerve became more likely to release neurotransmitters. These neurotransmitters are what aid in the transmission of signals from the ear to the brain. Mice that had blocked ears managed to use up their neurotransmitter reserves once they were exposed to a sound. Mice also had less vesicles, structures that store neurotransmitters. These findings make sense because the less sounds you hear, the less sound-carrying neurotransmitters you need. A point of interest in the study is whether the cells revert back to their previous form before the experimental blockage. Although many cells did revert back to similar shapes and behavior, it is still uncertain whether they go back to being exactly the way they were before the blockage had taken place. A study from the American Journal of Medicine has found that painkillers can increase the risk of hearing loss. Women in the study that used acetaminophen and non-steroidal anti-inflammatory drugs like ibuprofen over a period of at least 6 years were at an increased risk for hearing loss compared to those who had used painkillers for a year or less. This finding has severe medical implications for a large number of individuals. About 43 million U.S. adults took aspirin regularly in 2010 and over 29 million U.S. adults used NSAIDs regularly. 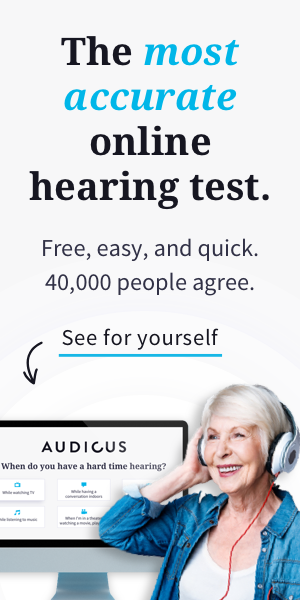 Hearing Loss on the Decline? Researchers from the National Institute on Deafness and Other Communication Disorders have found that hearing loss has actually been on the decline. In the time range of 2011 to 2012, 14.1% of the American population displayed hearing loss. This is a slight decrease from an earlier time period from 1999 to 2004, when 15.9% of Americans experienced hearing loss. There are a number of factors that could contribute to America’s shrinking hearing loss epidemic, including less frequent use of ototoxic drugs, medical immunizations and the cancellation of loud factories. However, don’t put those hearing aids away just yet! Hearing loss is still a major problem in the U.S. and many factors that cause it still have yet to be determined. Be sure to avoid loud environments for extended periods of time, find alternatives to earbuds, and visit your doctor for regular hearing checkups.